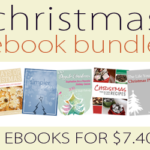 Recipe ebook bundle Collection only $7.40!!! Spice up your meal plan with this recipe collection from BundleoftheWeek.com! 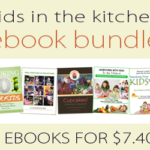 This bundle includes recipe ideas for every meal of the day to help you save time and money while eating healthier. Discover more than 40 delicious, easy-to-make breakfast ideas, over 50 ideas for veggie side dishes, dozens of healthy entrees plus recipes for your favorite pantry staples, and 50 mouthwatering desserts to top it all off! That’s more than 200 recipes altogether, plus tips to help you expand your kitchen skills along the way. Everybody says that breakfast is the most important meal of the day, and in The Breakfast Revolution, Beth shares how she transformed her family’s breakfast experience to the world of possibilities outside of the cereal box. Discover more than 40 original recipes that taste good and are easy to make, using real, whole food ingredients! With more than 150 pages of vegetable recipes and information, The Veggie Book is your handbook for serving delicious, tasty veggies to your family. Each section includes basic nutritional info and common uses for each vegetable plus tips on selection, prep, cooking, and storage, followed by a handful of recipes featuring that vegetable. Better Than a Box is more than just a recipe book; it’s a tutorial in real food cooking, reverse engineering processed foods, and creative recipe development. In the first 100 pages, you’ll learn step-by-step processes to transform your own family-favorite recipes by ditching the boxes and cans and using 100% real food. Through demonstrations of successful recipe remakes and the extensive section of basic recipes — including 25 entrees and 35 pantry staples — this ebook is sure to inspire you in the kitchen. 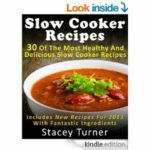 Slow cooker freezer recipes cut your time in the kitchen so that you can spend more time living your life. Not only can you assemble a freezer full of meals in just a couple hours, but it will only take you 5 minutes to “cook” them when you’re ready by simply dumping a bag of ingredients into your slow cooker, turning it on and walking away. In Back-to-School Slow Cooker Freezer Recipes, Stephanie offers 6 slow cooker freezer recipes that are perfect for serving your family a warm, hearty, delicious and nutritious meal without slaving away in the kitchen. With beautiful photos and easy-to-follow instructions, Daily Desserts features 50 mouthwatering recipes to satisfy your sweet tooth. In Shaina’s classic style, these recipes combine unique flavors and a beautiful presentation for desserts that are perfect for your family or for sharing with others. Discover recipes for pies and tarts, cupcakes and cakes, doughnuts, fruit desserts, creams and puddings, cookies, bars, frozen treats and candies in this ebook, which is sure to become a favorite in your kitchen! Get yours today!!! They will only be available through 7:59 am (EST) 2/17/14!! This post contains affiliate links, which help support this site. Read my full disclosure policy.